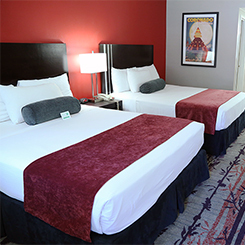 A convenient escape from sterile chain hotels, the Lodge is located in the heart of the leisure, business and shopping hubs of southern coastal Orange County, midway between the attractions of Los Angeles and San Diego. The inviting garden ambiance and stylish rooms offer guests a relaxing and delightful environment. 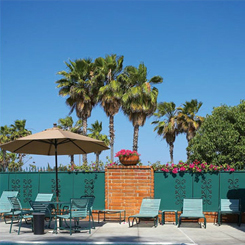 The Laguna Hills Lodge serves our travelers in a welcoming environment at a very affordable price. Don't miss a visit to Laguna Beach, located just minutes from the Lodge, for a seaside artist community experience including Laguna Beach's Festival of the Arts and Pageant of the Masters. The offshore waters of Crystal Cove in Laguna Beach are designated an underwater state park. The whole family will love the tide pools at Crystal Cove. 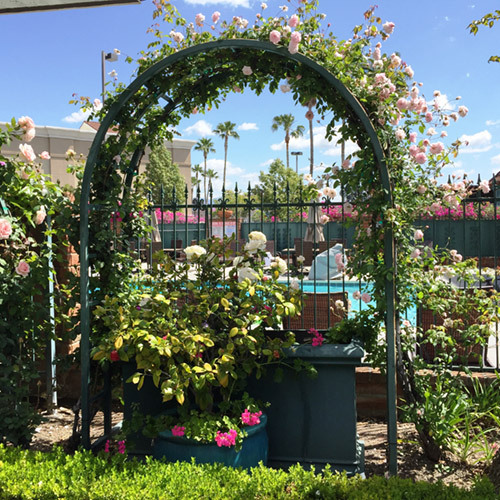 “My wife and I first noticed the many favorable testimonials when we checked out the Laguna Hills Lodge on Priceline. We made our own reservation. The room was beautiful and large and faced on the garden, as we had been promised. Parking was plentiful and free, and the complimentary breakfast was liberal and of good quality. They even had a man who made your toast for you. I am not given to hyperbole, but our stay was a totally satisfying experience.